The new full-range, 3 way loudspeaker with anti-turbulence rear bass reflex and ribbon tweeter is finally here! TWEETER – custom AMT ribbon.MIDS – 150mm curved cone in ultra-hardened woven polypropylene with custom copper phaser. BASS – 2 x 180mm curved cones in ultra-hardened woven polypropylene with custom copper phaser. CROSSOVER – low-high dual-slope at 280Hz & 3000Hz with resistive design and triple crossover network. XT-7 means Italian design and craftsmanship, high quality materials, the best audio grade components made in Germany by Mundorf and amazing custom drivers developed in collaboration with SEAS. 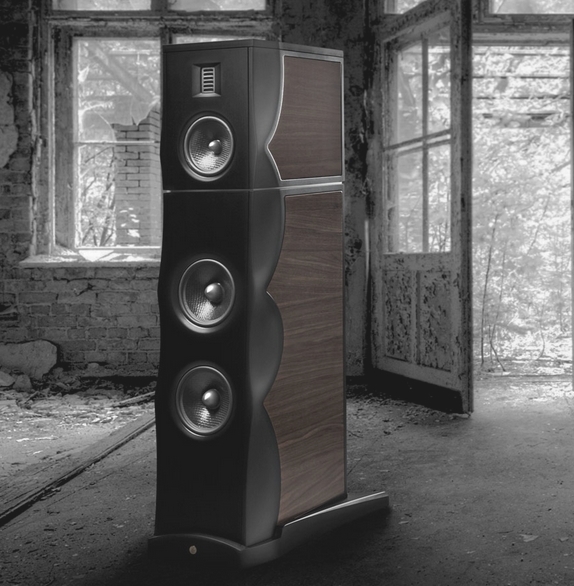 With many solutions directly derived from our flagship model XS-85, here is one of the best loudspeakers we have ever created. Handmade with passion in Italy. Tuscany Gold Moving-Coil Cartridge new review in Stereophile.